Help Finding Eagle Summit Wagon WD Parts! Post subject: Help Finding Eagle Summit Wagon WD Parts! A friend of mine purchased a 95' Eagle Summit WAGON AWD a couple years ago. The rear passengers control arm bent from being weakened by rust and was rubbing the tire. I was unable to find a replacement control arm or even a used part. So I took it off, cut the rust out, hammered it straight, and welded 10 gauge steel plating to reinforce it. It's been fine since. 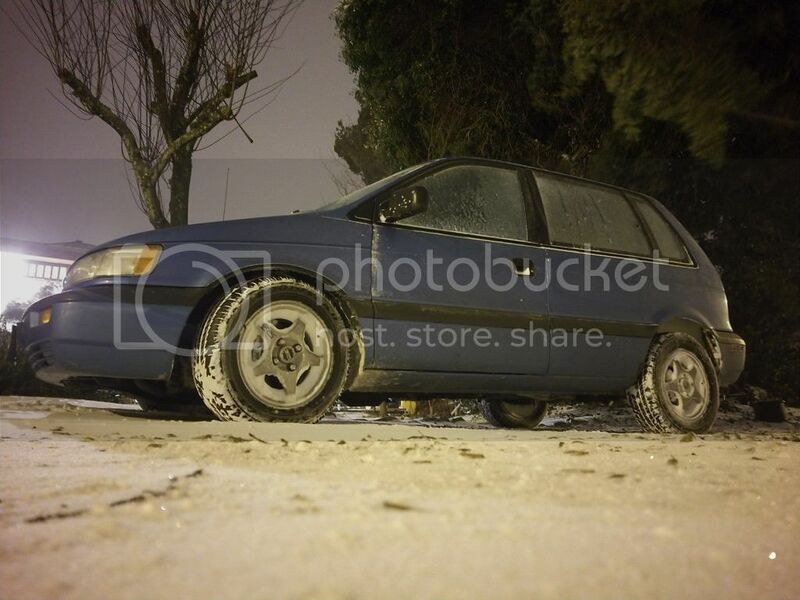 I am looking for front struts for the 95' Eagle Summit Wagon AWD. Is there another Eagle/Mitsu/Chrysler vehicle with the same front suspension that I can cross reference? Or even a strut that will fit without rubbing the tire would be fine. Any help would be appreciated. 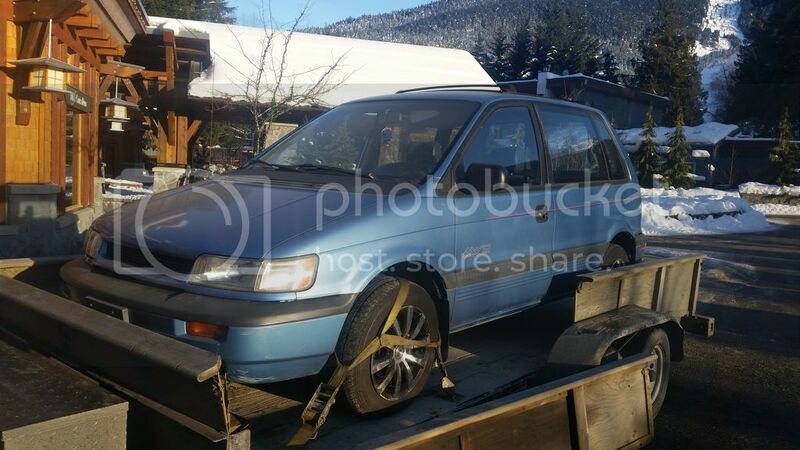 Post subject: Re: Help Finding Eagle Summit Wagon WD Parts! Are the rims installed, the original steel or aluminum rims that came with the van? I think this post should be moved to the van section because it isn't a CC/CA Lancer/Mirage body vehicle, it was a larger platform that was used. It was also known as the RVR in its first form. We would need to know what tire size is installed too. Pics of the van and pics of the rims would help too, if things aren't readily confirmed for you visually. 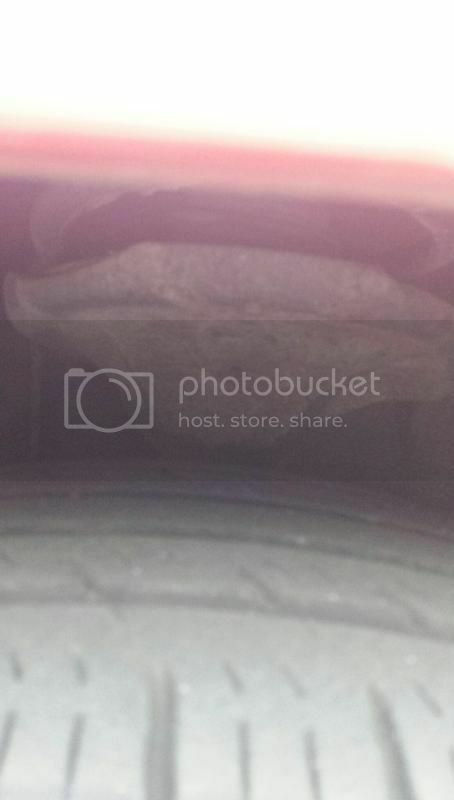 Rockauto should have direct replacement parts for the vans, as much as they have direct replacements for the hatches and sedans. I will post a photo. Like I said, he has 2 of these vehicles. And I've never seen one of these until he bought the first. I compared them side by side and they both have the same size steel rims with the tire size matching the door tag. Rock Auto does not have struts for AWD. Everywhere I could possibly look only has struts for FWD. The Chrysler dealer didn't even have a part # for AWD. Pretty sure the same struts used on the 90-94 Talon/Eclipse/Laser work on the Summit/Expo/Vista wagons. Ball joints are the same too. grndsm is very savvy with these vans, so it couldn't hurt to throw him a message and see what he says. thomcasey has probably hit the nail on the head. I wonder what struts are on the vehicle now? Definitely a strut with a lower sitting spring cup. Front ball joints are actually different than the dsm ones. From what I found anyway. They were a little shorter. When I replaced mine Rockauto had the entire LCA with a new ball joint at a great price. Here's a photo of the proper strut on one of the two Summit AWD Wagons. I don't have any other photos at this time. My other thought is that quite possibly the AWD Summit Wagon may be designed to sit higher in the front vs FWD platforms. Perhaps intended for driving through snow conditions or to clear the rear driveshaft? these are listed for "92-"96 awd expo summit vista. and it looks like the 91-94 1g awd dsm front struts work too, not sure about the rears. I couldn't get that link to go directly to the part you're talking about. Is it the GABRIEL G67605 Ultra? I have heard that 1G front struts should work, but never did that myself. I am using modified EVO6-8 suspension. The modification steps were almost identical to what it takes to modify EVO suspension for 1G. In the rear, you can use ether 1G or 2G shocks. BTW, I am selling my old EVO8 suspension, modded for the Summit. 1g strut are same dimensions where it matters. a lot of times with struts the only reason parts dont interchange on the books is because of the brake line bracket is not exactly the same. please put a location in your profile. I have since dropped the rear somewhat but no pictures yet.